Stop the presses! Indulge this Nonnie! A special little somebody is one month old today! 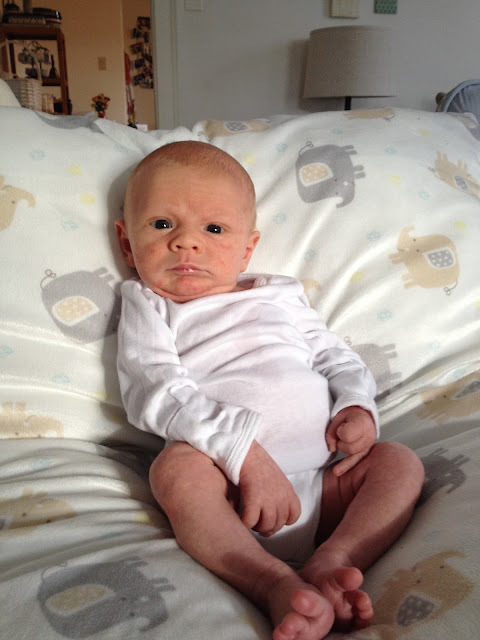 Our dear little grandson, Judah Andrew Patty, turned one month old today at his home in the Chicago area. I'm sending big hugs, kisses and promises to snuggle him (and let his mommy and daddy take a nap to catch up on missed sleep!) when I see him again in a few months! Love you so much Judah! !